Susan Dunn finds a community, inspiration, revelation and joy in Bay Area live theater. Since her move from New York in 1991 she has been on the board or staff or both of Hillbarn Theatre, Altarena Playhouse, Berkeley Playhouse and Virago Theatre. Favorite roles include Producer for CABARET and Stage Manager for MERRILY WE ROLL ALONG at Altarena Playhouse. 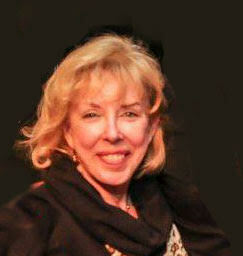 She has also helped to birth several new productions in San Francisco and San Jose for local playwrights. Susan currently indulges her passion for live theater full time as Staff Historian at Altarena, and Development Director and Stage Manager for Island City Opera in Alameda. She delights in the ever-changing variety of theater companies and venues all over the Bay Area, and is associated with several local play writers and play readers associations. In recognition of her achievements and contributions impacting the arts community and residents of Alameda County, she has been announced as one of the recipients of the Alameda County Arts Commission’s 2015 Alameda County Arts Leadership Awards.